Set on a pineapple plantation in up-country Maui, the Hali'imaile General Store has lured travelers for over a decade with its down-home, island-style cooking. Critics and diners rave about chef Beverly Gannon's rustic, hearty fare, and the restaurant is a fixture on "Best of Maui" lists. 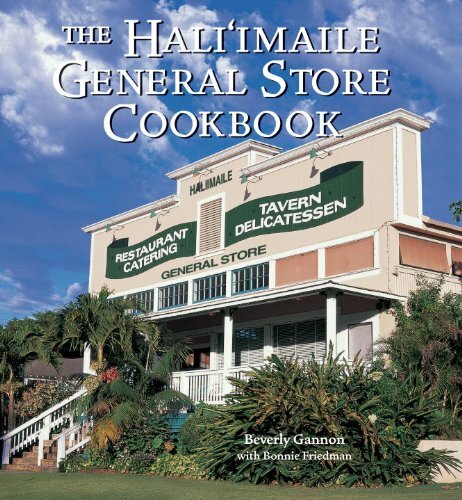 THE HALI'IMAILE GENERAL STORE COOKBOOK enables readers to bring the spirit of Maui and its landmark restaurant into their own kitchen with over 100 recipes, accompanied by Beverly's warm, chatty narrative. For all those locals and out-of-towners who've begged Beverly for recipes over the years, she has this to say: "Well, folks, here's the book! And I hope every single copy gets food-stained, dog-eared, and, most of all, enjoyed."